Capturing still images over time and showing in time-lapse playback gives a different perspective on your location or project. It can show the real beauty of a place with weather and seasons. With the time-lapse view player you have an always up-to-date video showing on your website. Your site visitors can watch a full day in 1-2 minutes. 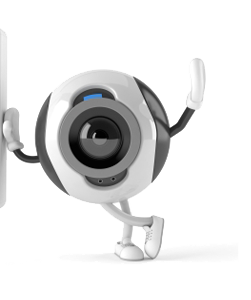 We collect images from your webcam at a defined interval and create time-lapse videos at the end of the day. Latest images are visible in the live time-lapse view player. Enjoy the live time-lapse view instantly and the Full HD video at the end of day. Embed into your website and share. Resolution Full HD resolution for rendered videos. 640 x 480px limit in live time-lapse player. Playback speed time-lapse player: 5, 10, 15, 25 frames per second. Timer Set fixed time range to capture the images from your webcam. Sunrise/sunset timer Calculation of sunrise/sunset for your location by geo-position. i.e. to only use day content for webcams with bad night vision. Widgets Linked current (updating) image, linked animated gif (of the last 5 frames), latest video (iframe), time-lapse view player (iframe). Custom playback range (i.e. last 6 hours...), custom iframe and images size (scaled in browser).